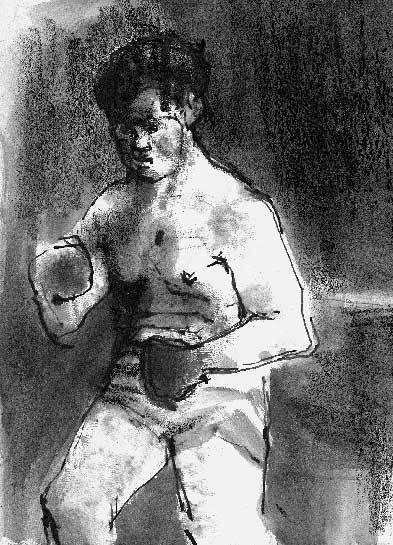 description One of a small series of figure drawings based on boxers in London's East End gyms. 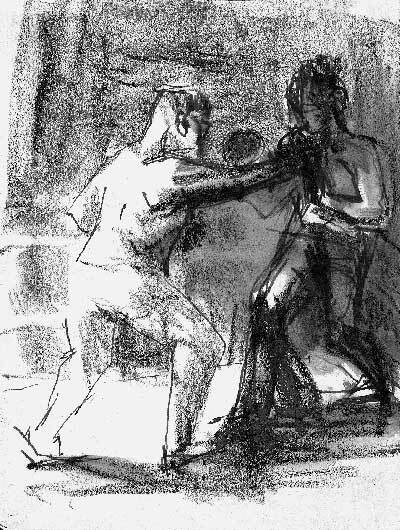 Frankfurther captures the movement of the figures in the ring with swiftly executed lines in pen and ink and charcoal. 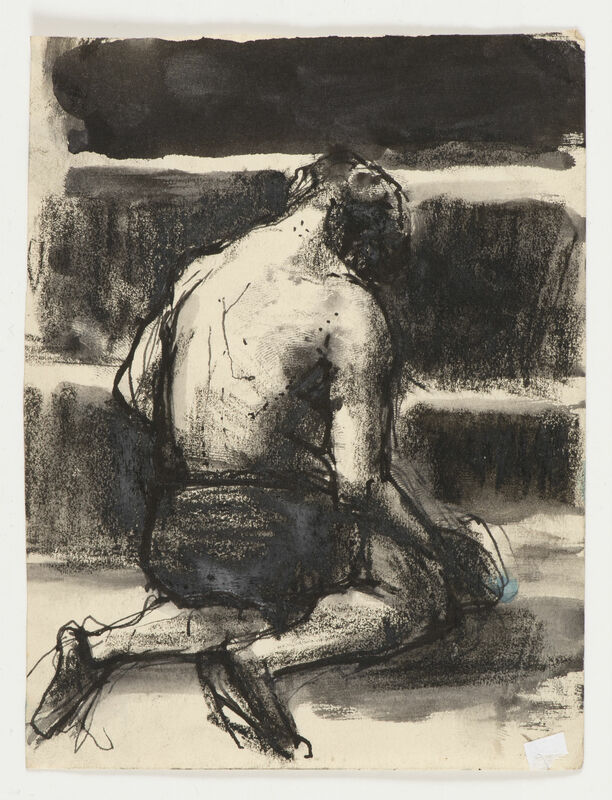 A lithograph entitled 'Boxers' was also exhibited at the Eva Frankfurther retrospective at the Ben Uri Art Gallery in 1962.
literature ed., B. Planskoy, 'Eva Frankfurther 1930-59: Paintings, lithographs and drawings' (London: Peter Halban, 2001), illus., p. 51.